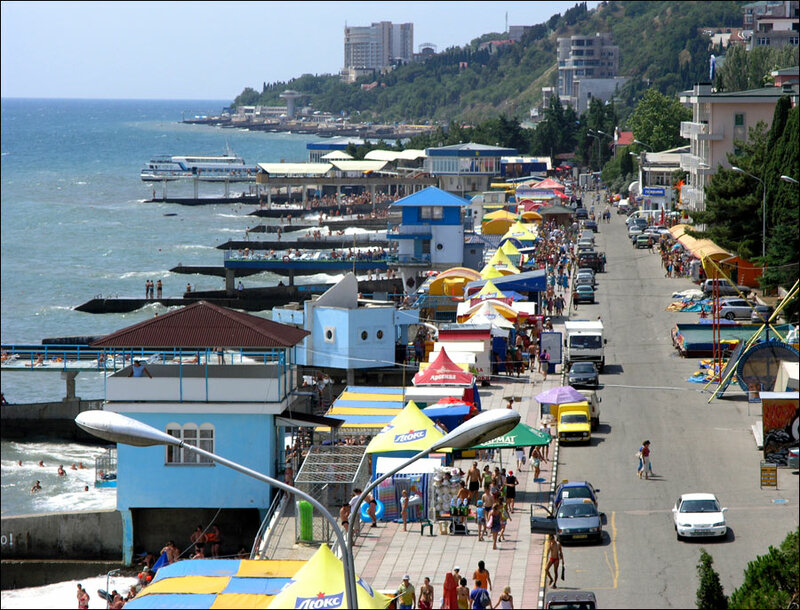 Alushta is a well known resort city of Crimea Republic. 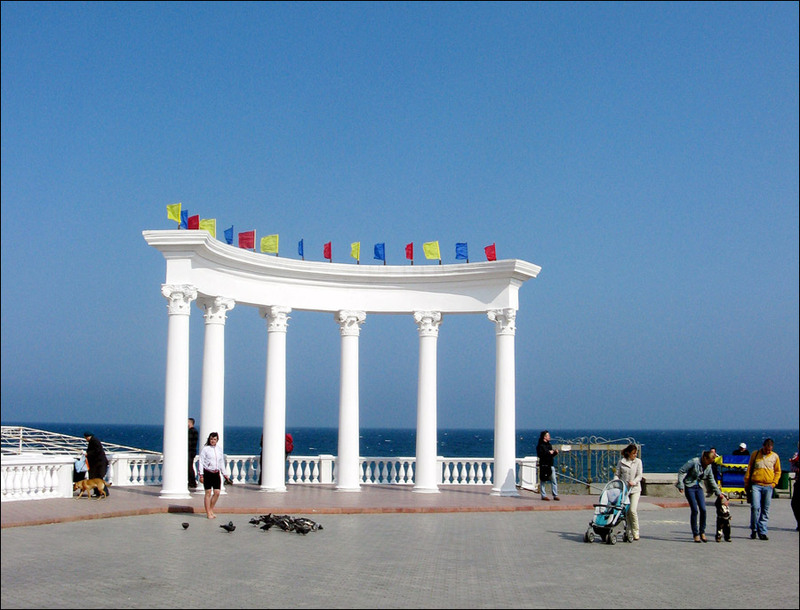 It is situated in the southern part of the Crimean peninsula. Present name of the city is similar to the original Greek name of the settlement - Alouston. Local time in Alushta city is April 21, 9:15 pm (+2 UTC). 2 May, 2013 / Stone statues of the Valley of Ghosts in the Crimea. 13 March, 2012 / The mysteries of foggy Demirdzhi Mountains. 31 October, 2011 / The mystery of the Valley of Ghosts in Crimea. 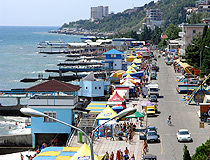 The current status of Alushta is disputed between Ukraine and Russia. De facto, it is controlled by Russia as the entire Crimea. Aluston fortress was constructed by the order of the Emperor Yustinian I in the 6th century. In the Middle Ages, it was an important strong point for all the states possessing the southern coast of the Crimea. The Italians called the town Lusta. Only two towers of the medieval fortress survived. The town was heavily damaged during the Second World War. German occupation lasted from November 4, 1941 to April 15, 1944. More than 500 people died, 231 were taken away to work in Germany. 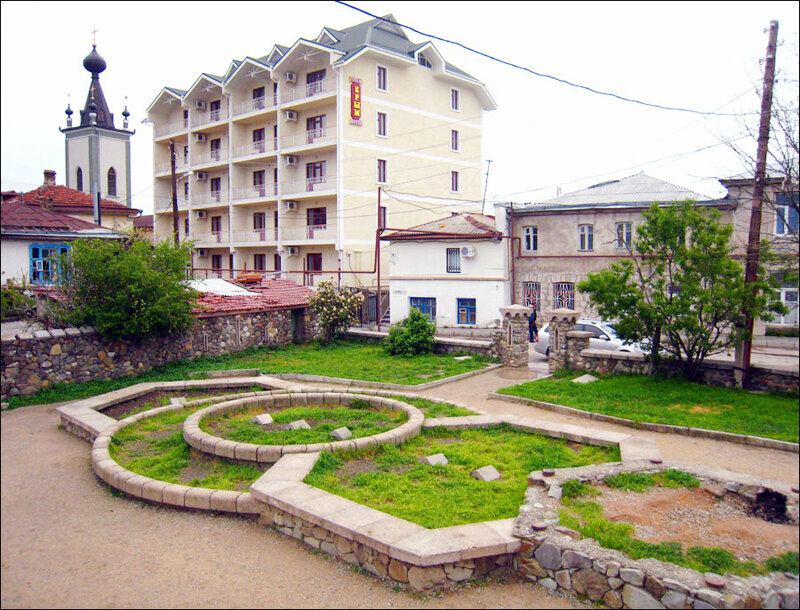 Alushta became even more deserted after the deportation of Crimean Tatars in May 18, 1944. In the postwar years, Alushta developed as a seaside resort; a lot of new sanatoriums were built. The climate is characterized by hot summers and mild winters. The average temperature in February, the coldest month, is 2,9 degrees C above zero, in July, the hottest month, it is 28,3 degrees C above zero. The climate is dry, with most precipitation from October to February. The water temperature never falls below 8 degrees C above zero even in the coldest season. The average temperature of water from May to October is 17,5 degrees C above zero. The sea is the warmest from July to September - the average temperature is plus 22-23 degrees C.
Storms are rare and short in summer time. 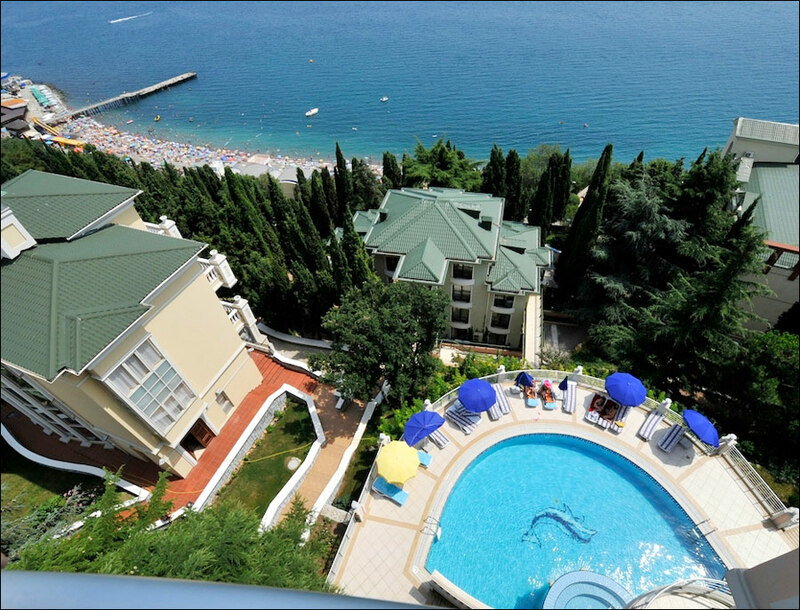 Plenty of sunshine, fresh air, warm sea and picturesque mountains - these are important factors which make Alushta one of the best health resort of the region. Outstanding natural beauty of Alushta and its surroundings was used while shooting famous Soviet movie “Caucasian Captive”. There is a ferro-concrete structures and parts production plant and a milk-producing plant in the city. There are also 4 wine-producing plants. 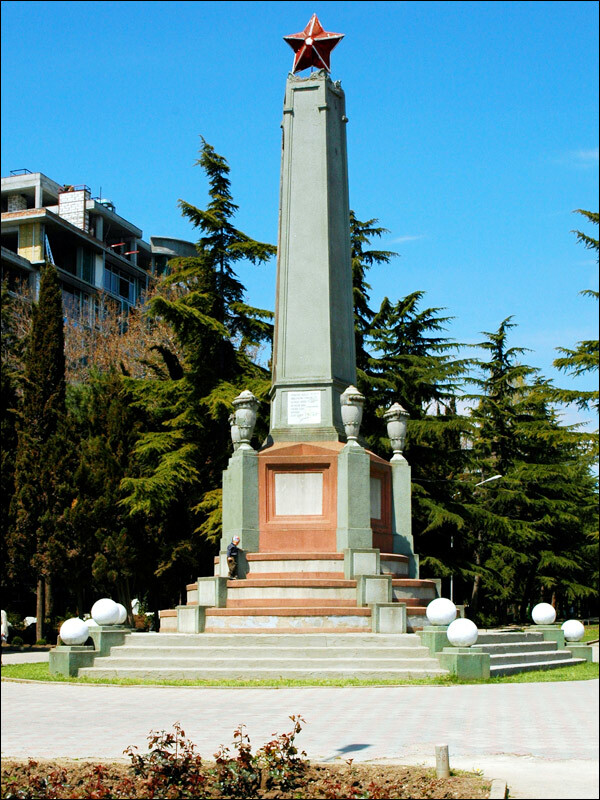 Free Wi-Fi is available at the territory of Alushta embankment starting from the Telephone office and ending at the Monument to dead Tavrida government. In 1959, the trolley-bus line between Simferopol and Alushta was opened, it was extended to Yalta in 1961. Aluston fortress. In the 6th-8th centuries, Aluston was a Byzantine guard fortress. In the 10th-15th centuries, it gradually turned into a small town. The fortress occupied the hill, standing about 200 meters from the sea. You can see square tower Orta-Kulle, round tower Ashaga-Kulle, defensive walls there. 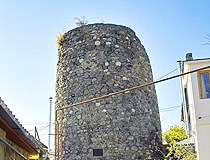 Medieval fortification Funa. This archaeological and architectural monument is located about 2 km north of Luchistaya village at the western foot of the South Demerdzhi Mountain. Merchant N.D.Staheyev’s dacha. 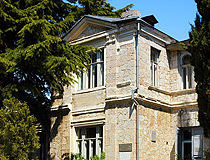 The villa “Otrada” (“Joy”) was built on the embankment of the city by Crimean architect N.Krasnov for merchant N.Stakheev who was known for his charity work. He helped to build the embankment, pier, theater, schools and hospitals. 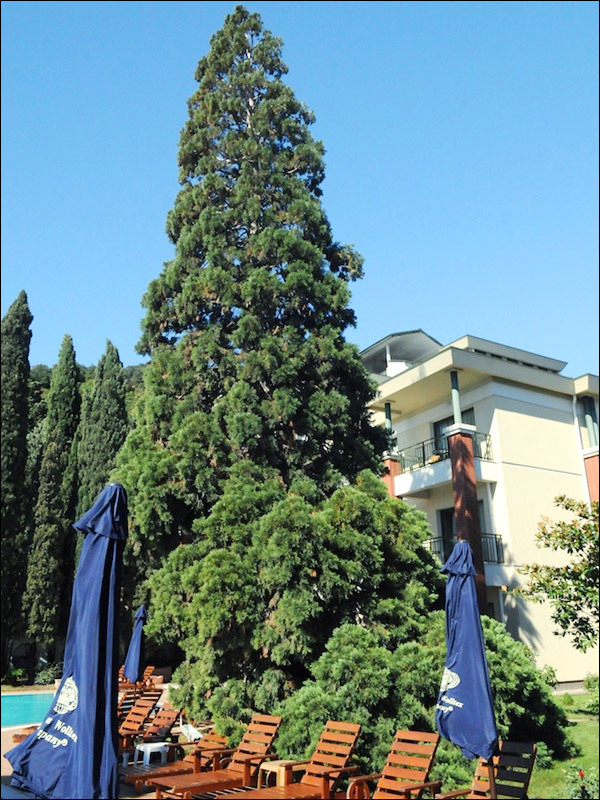 There is a beautiful park around the villa with about 60 species of trees and shrubs growing. Stakheev’s dacha was visited by his uncle - famous painter Ivan Shishkin. Today, it is Children’s Creativity Center. During the hot days, the area of the park turns into an improvised beach. 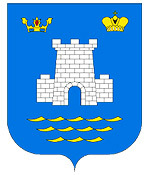 Spreading plane tree (sycamore east), the most popular tree in Alushta, is growing here. Perekopskaya Street, 1. 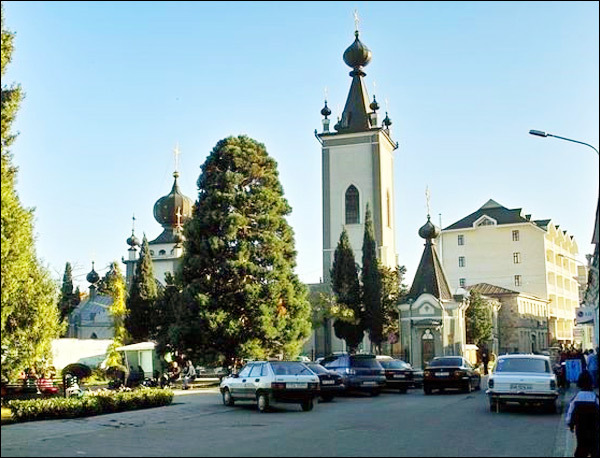 All Crimean Saints’ and Feodor Stratilat’s church. The church is dedicated to one of the most honored saints in the Crimea. The Roman Empire soldier Feodor was the captain (stratilat) in the city of Heraclea. He converted a lot of people to Christianity there. He was murdered on the orders of the Emperor Licinius, because he broke the golden statues of pagan gods and gave the pieces to the poor. 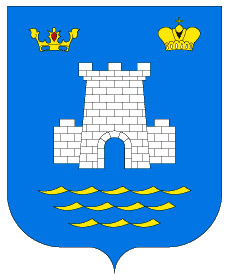 The cult of Feodor was widely spread in the principality of Feodoro in the 13th-15th centuries. 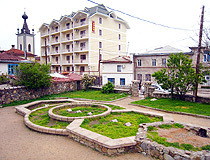 In 1842, in his honor, the main church of Alushta was built. The project was designed by Odessa architect G.Torricelli. In Soviet times, the building was used as a club, and the bell tower was destroyed. Today, the church is completely restored. V. Khromykh Street, 16. Yukara-Jami mosque. The mosque was built in the 19th century. 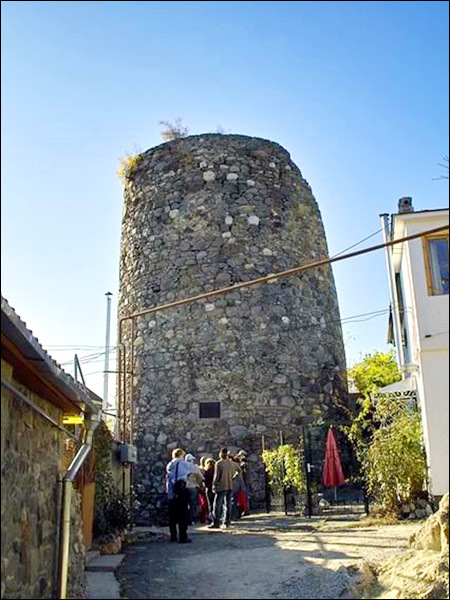 It is located at the top of the hill, in the historic center of Alushta. 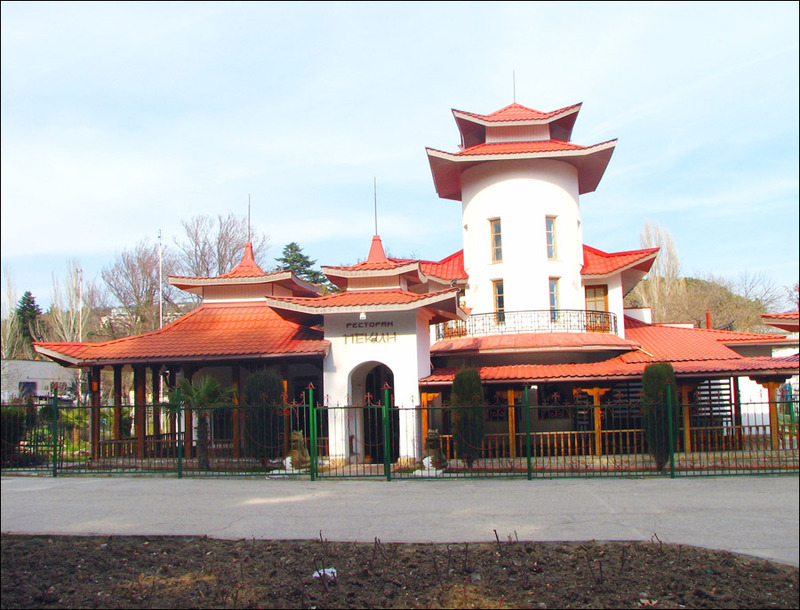 In 1986, the mosque received the status of an architectural monument of local importance. Since 1996, the mosque has again become active. Verhnyaya Street, 9. Kosmo-Damianovsky (Kozmodemyanovsky) monastery. The monastery is located about 16 km from the city, between Babugan and Sinabdag in the Central Basin of the Crimean State Reserve. The monastery was founded in 1869 close to the healing spring Savluh-su (“healthy water”), in a place where, according to legend, the saints Kosma and Damian were killed. In 1878, the monastery was visited by the future Russian Emperor Alexander III, and, in 1880, he visited the monastery with his wife Maria Fyodorovna. October 5, 1923, the monastery was abolished. It was decided to arrange a club inside the Church of Transfiguration, and Natural History Museum inside Kosma-Damian church. The monastery was rebuilt and reopened in 1992. Alushta aquarium. The aquarium is located in the very center of the city in the round building resembling aliens’ spaceship. This underwater kingdom is inhabited by more than 250 different species of fish from all parts of the world, as well as 3 species of crocodiles, 5 species of crabs and 8 species of turtles. Opening hours: 9:00-20:00. Gorky Street, 6. Professors’ corner. 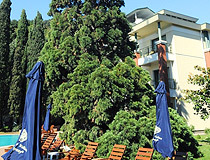 Alushta resort was founded by rector of Novorossiysk University N. Golovkinsky and Professor A. Golubev. In 1872, they purchased most of the slopes of Kastel Mountain. A lot of Russian scientists had their cottages there, hence the name. Naberezhnaya Street. Water park “Almond Grove”. Besides the water park itself the entertainment complex includes hotel, restaurant and relaxation center. Professors’ corner, Naberezhnaya Street, 4-a. Water park is open from June to October. The house at Krasnoarmeyskaya Street, 10. This mansion was built in Art Nouveau style in the 19th century, it is an architectural monument. Kastel mountain. 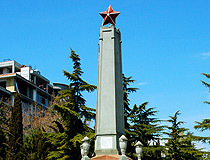 439 meters height mountain located on the southern outskirts of the city (Yalta highway), over the Professors’ corner. The mountain received the name “Kastel” due to the fact that in the old days there was a fortress (Greek - “Kastel”) on a mountain top. The remains of the fortress can still be found there. According to a legend, the fortress was the last refuge of Queen Feodora, mistress of the ancient Sugdayi. When the Genoese captured the capital of the principality Feodore took refuge in Kastel, where betrayed by her brother she was killed in a battle. Demerdzhi mountain. 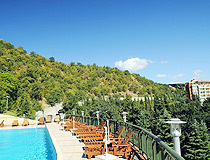 Demerdzhi is a mountain range located about 10 kilometers from Alushta near Luchistoye village. Translated from the Crimean Tatars’ language “Demerdzhi” means “smith”. Small pieces of rocks carried by the strong wind create the sounds that are reminiscent of blacksmith’s hammer hitting the anvil. 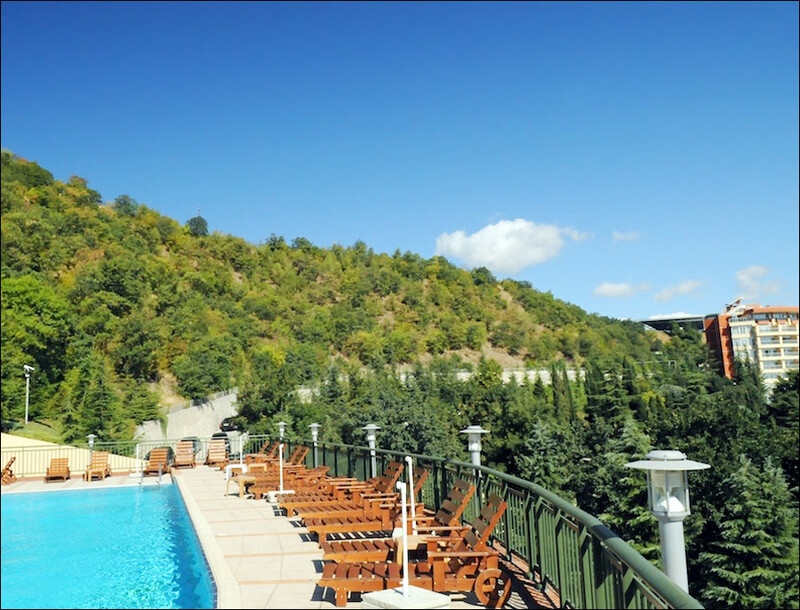 The main tops of the mountain are the Northern Demerdzhi (1356 meters) and the Southern Demerdzhi (1239 meters). The Valley of Ghosts. 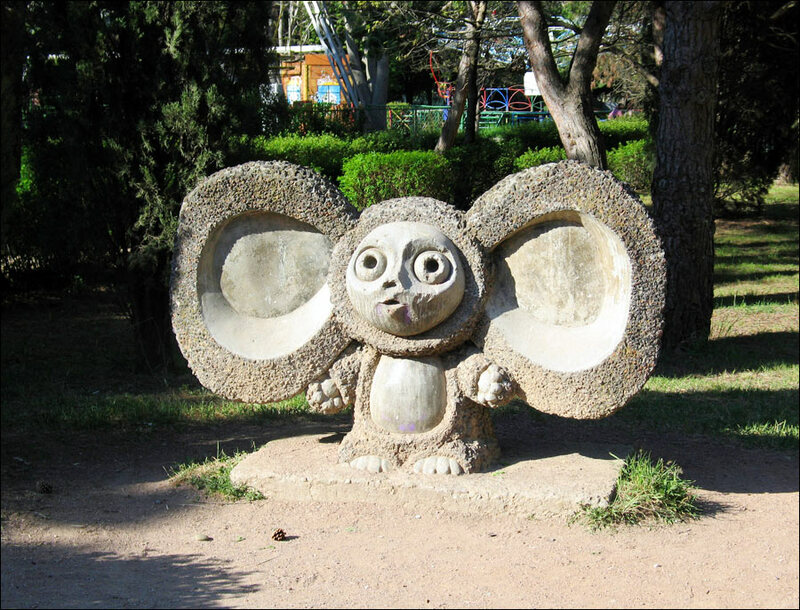 It is a natural collection of stone sculptures standing on the slopes of the Southern Demerdzhi Mountain. 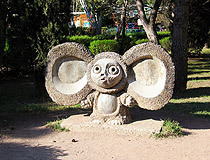 Different shapes of stone figures resemble human figures, animals, mysterious creatures, objects, and, depending on time of day and lighting, their images are changing. In addition, thick fog is common there. There are more than a hundred such “ghosts” in the valley. The Valley of Ghosts is a beautiful natural monument. Chatyr-Dag mountain. This mountain is the second highest mountain of Crimea (1525 m) after Roman-Kosh Mountain (1545 m). It is known for numerous caves (137 so far) discovered there. The Marble Cave, discovered in 1987, is one of the most beautiful caves in the world. Dzhur-Dzhur Waterfall. Dzhur-Dzhur (“ever-purling”) Waterfall, located in the outskirts of Alushta, is one of the most beautiful waterfalls in the Crimea. It is small, about 15 meters in height, but always full-flowing. The waterfall is situated near Generalskoye village (Big Alushta area). From the parking lot where the sightseeing buses stop (or where you leave your car) you need to walk about a kilometer on a not steep rise through the dense reserve forest. 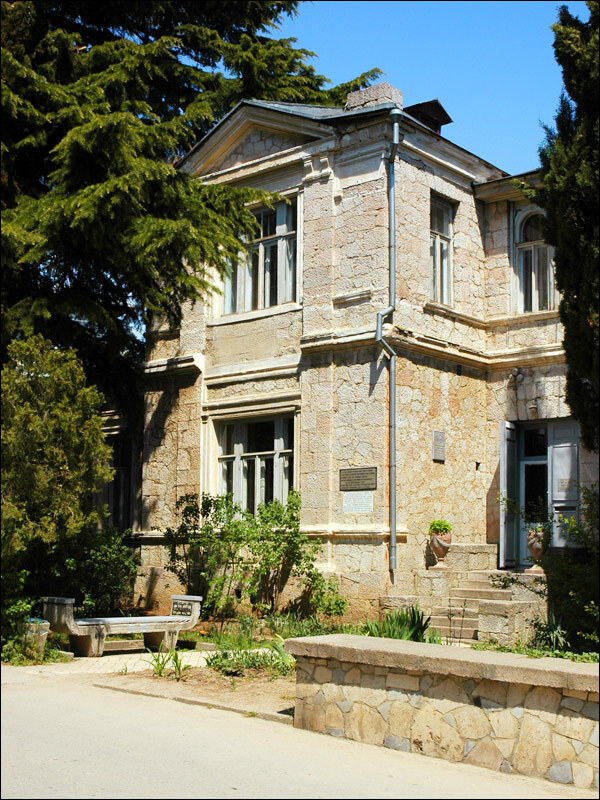 Alushta branch of Tavrida Central museum (former Crimean museum of local study). 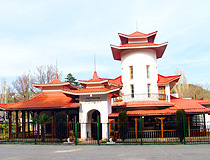 The museum is located in Primorsky Park, in the building of villa “Modern” (1910-1912). The exhibition reflects city’s history from ancient times. About 8 thousand exhibits include archaeological collections (including the excavation of Aluston fortress and medieval settlement Partenit), numismatic and ethnographic material, rare documents and photographs about the history of the city. Opening hours: 9:00-18:00. Day off - Tuesday. Lenin Street, 8. Museum of Crimean nature. It is the museum of the Crimean National Nature Reserve, which occupies a vast territory of the Crimean mountains between Alushta and Yalta (total area - 44175 ha). Opening hours: 8:00-17:00. Break: 12:00-13:00. Partizanskaya Street, 42. S.N.Sergeyev-Tsensky literary museum. The literary-memorial museum of S. Sergeyev-Tsensky is located in a house built in 1906 on a hillside of Khurda-Tarly Mountain (today Orlinaya). The writer lived and worked here from 1906 to 1941 and from 1946 to 1958. Opening hours: 9:00-18:00. Days off - Sunday, Monday. Sergeyev-Tsensky Street, 5. I.S.Shmelyov literary museum. It is the only museum of famous Russian writer I. Shmelev in the CIS (former USSR states). The museum was opened in 1993 in a house he had bought in 1918, not far from his friend S. Sergeyev-Tsensky. Opening hours: 9:00-17:30. Break: 13:00-14:00. Days off - Sunday, Monday. Professors’ corner, Naberezhnaya Street, 2. Architect A.N.Beketov house-museum. The dacha of outstanding Ukrainian architect A. Beketov is situated in Professors’ Corner. The architect built his suburban home on the beach in 1896. Opening hours: 9:00-17:00. Days off - Sunday, Monday. Komsomolskaya Street, 4. Someday soon I hope to visit this very interesting and lovely city.